� How was your last visit to Cho-Sen Garden? Since 1990, owner Neil Wallin “chose” to start his Cho-Sen restaurant adventure in Forest Hills, Queens. He felt that the community would love a restaurant that was comfortable, friendly and would provide top-notch service with outstanding food. To put it simply, the neighbors are very happy. 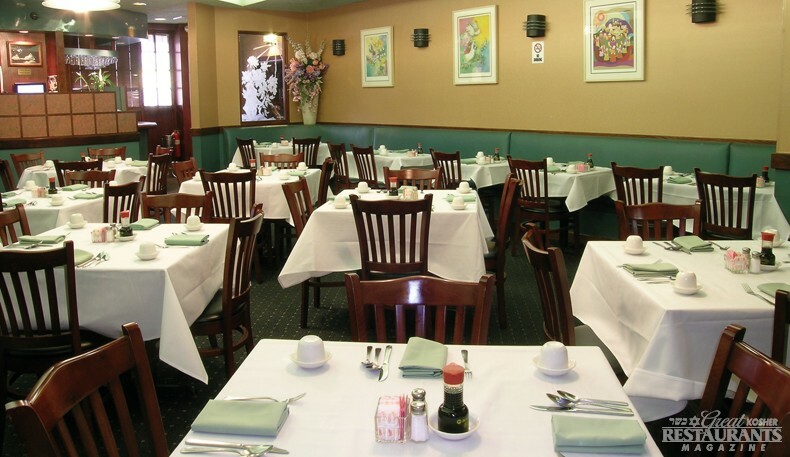 Centrally located in Forest Hills, Cho-Sen Garden is a few blocks from the LIE and Queens Boulevard, as well as a few minutes from Main Street and Union Turnpike. There is plenty of parking in front and to the sides of the restaurant. Decorated with Chagall-style paintings on teal colored walls and cozy booths in the corners, this modern Asian restaurant has a full service cocktail bar in front and a full sushi bar in the back. The staff, led by General Manager Michael Mo, is extremely warm and gracious, greeting every visitor personally and quite often, by name. As mentioned, Cho-Sen Garden is a neighborhood institution and is an excellent and affordable choice for Chinese cuisine in Queens. The restaurant prepares everything with the freshest, top-of-the line quality meats, poultry, fish and vegetables. There are a number of choices including veal, chicken, beef, vegetarian, Japanese and sushi dishes. Recommendations include House Special Lamb and Crisp Sea Bass. Cho-Sen Garden is also a great place to host parties and events for your families and organizations in their private room to the side. Cho-Sen Garden is a sure winner for anyone looking for superb food at reasonable prices. It is a fine restaurant that you will want to visit often. Indeed, after all these years, they are still the Cho-Sen “one”. cho-sen Gardens is my favorite place to go when i really realy want to enjoy a great dinner, out of every chinese restaurant ive been to NOTHING beats this! Miriam- As a restaurant owner there is nothing in the world more satisfying than an appreciative customer- it makes all our hard work worth the extraordinary effort it takes to operate a restaurant like Cho-Sen Garden on a daily basis and we are approaching our 20th Anniversary. Thank you for taking the time to share your comments. May you be "cho-sen" for all good things in the New Year! According to their website, Talia's Steakhouse will be closed for pesach. I WOULD LIKE TORESERVE FOR 5 FOR THE 2 NITE SEDAR AND BREAKFAST , LUNCH AND DINNER UNTIL THE 20. PLEASE RELPY TODAY. For which restaurant and what is your name, phone number or email address? Or you can call us at 718-336-4201 for more details.